On this episode of ACC Nation Podcast Will and Jim delve into conference teams that are in the Sweet Sixteen. They offer a quick analysis of Duke, Virginia Tech, Virginia, North Carolina and Florida State. In addition, they look at what to expect this week from these teams in the NCAA Tournament. First, a look at sports across the conference. 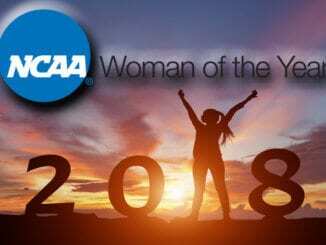 That includes the journey of eight women’s basketball teams to the NCAA Tournament and where they stand now. Notre Dame gets a nod as the No. 3 seed in the NCAA Ice Hockey Tournament that gets underway this weekend. Two teams from EAGL Gymnastics receive bids to the NCAA Regionals. Plus, individuals from North Carolina, NC State, Pitt and New Hampshire are headed to Athens. Mekhi Lewis of Virginia Tech brought home the 165 championship from the NCAA Wrestling Tournament. Jack Mueller of Virginia competed for the championship in the 125. 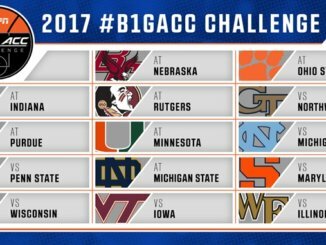 The Hokies had the best finish of ACC teams coming in at #11. Will and Jim break down performances so far of the five conference teams making it to the NCAA Sweet Sixteen. Are Duke’s ‘Ooops’ moments a red flag? Are the Blue Devils ripe for the picking in the tournament? Virginia Tech begins to find their rhythm with Robinson. Will it be enough to take down Duke? Virginia gets a monkey off their back and learn what it’s like to have fun playing basketball again. Get ready for a snail’s pace game against Oregon. North Carolina is exciting the pundits. Are the Tar Heels silently easing their way to another championship? Beware Auburn and a hot hand from the arc. Florida State finding their second wind is coming on strong when it matters most. Gonzaga could be the proof in the pudding game for the Seminoles. 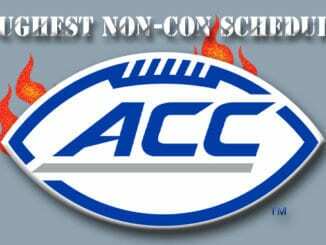 June 12, 2018 Football Comments Off on Toughest Non-Conference Schedules?